In August 1758, Charles Messier accidentally stumbled onto one of the most remarkable objects in the sky, a faint nebulosity in the constellation Taurus. This object – the Crab Nebula – eventually became Messier 1, the first of about 100 nebulae and clusters that he recorded. Nowadays it is easy to repeat Messier’s observations. In the 24 years that the French astronomer added objects to his list, the largest telescope he used was equivalent to 3 ½ – inch refractor. Today’s amateur astronomer with access to a 6 or 8 inch reflector and reasonably clear dark skies can expect to track down even the faintest Messier galaxies and globular clusters within a year. 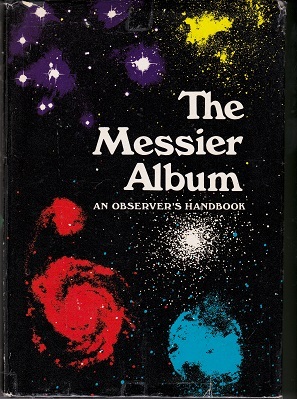 This Messier Album is an amateur production in the best sense of the word – careful write-ups and photographs of all the objects made by two dedicated and advanced amateur observers, John H. Mallas and Evered Kreimer. Colour and black-and-white photographs by many amateurs further enrich this observing guide. If you have no telescope, you can still enjoy the pictures and descriptions. Yet nothing can quite duplicate the thrill of sweeping across the starfields until a remote nebula glides into view; the pleasure of seeing these celestial denizens directly with a telescope should not be missed.